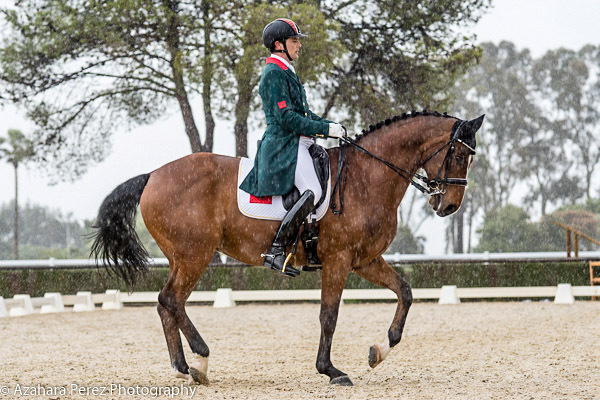 ALTER DO CHÃO, Portugal, April 22, 2018–Morocco’s Ismail Jilaou on What a Feeling qualified for the World Equestrian Games in September that will be the first championship for the pair. 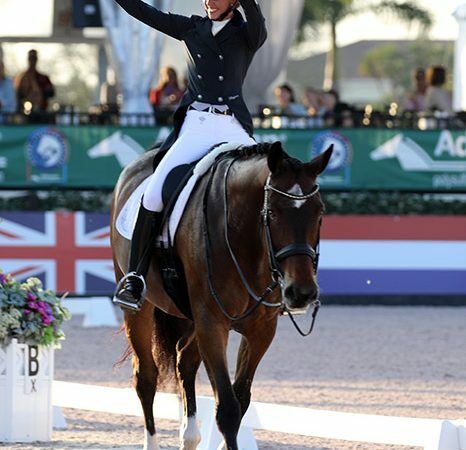 Ismail and the 14-year-old Hanoverian gelding were awarded a score of 67.109 per cent for fourth place in the CDI3* Grand Prix, the second of the required results to earn a start at the World Games in Tryon, North Carolina in September. Ismail, 39 years old, and What a Feeling were awarded their first qualifying result 66.848 per cent at Abrantes, Portugal last month. Earlier in the month, the duo logged their first victory–winning both the Grand Prix and the Special at Seville, Spain–since starting Big Tour three years ago. 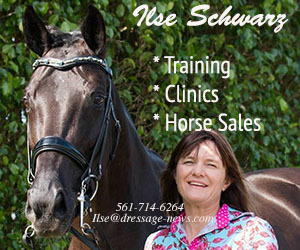 Ismail rode Flower de Hens at the World Young Horse Championships in 2017, but has not competed at a senior championship. Yessin Rahmouni on Floresco NRW competed for Morocco at the 2014 World Games in Normandy, France.